Buffets are always enjoyable to go to, because who doesn’t like having an endless amount of food available for us to eat? What will make it even more enjoyable is a Japanese food buffet, with the freshly rolled sushi, cuts of glistening sashimi, whiffs of grilled seafood, and bubbling miso soup ready for you to dig into! Now’s the perfect time to pile your plates sky-high without getting judged by the other patrons. 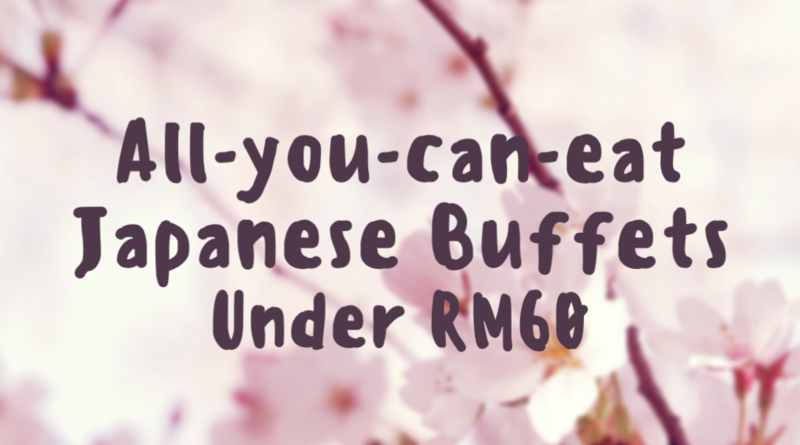 If you’re a lover of Japanese fare, then pay attention to these 5 restaurants serving yummy Japanese buffets, and all for RM60 or under so it won’t break the bank! This edgy ‘restaurantainment’ venue is the perfect place for you to not only stuff yourselves silly with fresh Japanese food, but also to be entertained through live music performances, and even magic acts! 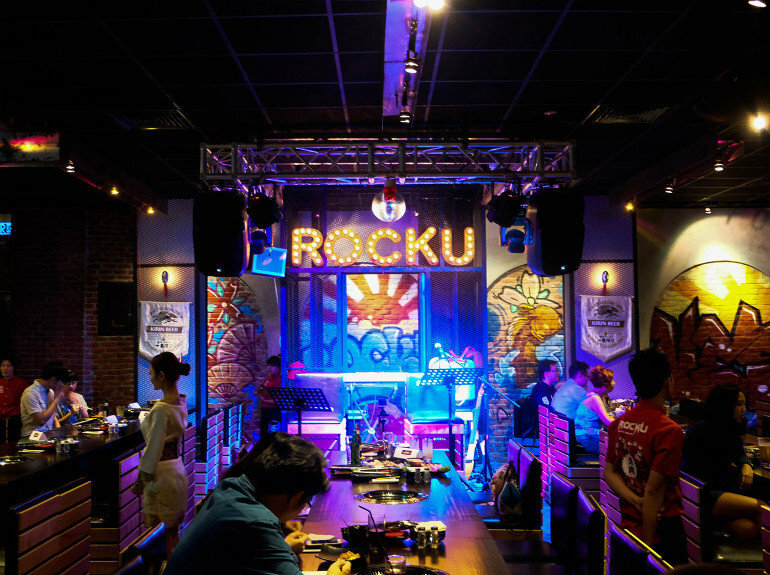 Rocku Yakiniku is located in Pavilion KL, and features a Japanese grill concept, so you’ll have to choose your raw meats and seafood and have them freshly barbecued before your eyes. They also have a variety of pre-cooked dishes for you to enjoy while waiting for your food to be prepared, such as Japanese curry, fried rice, and fried chicken karaage. You’ll be given 100 minutes to eat as much as you want, and an extra 20 minutes will cost you RM9.90. Lunch: RM39.90 on weekdays, RM49.90 on weekends. 50% off for children. Dinner: RM49.90. 50% off for children. Here’s somewhere different to have your Sunday lunch. This tranquil, 13-year-old restaurant serves up a lunch buffet on Sundays, with a spread of over 80 of your favorite Japanese dishes for you to choose from. Customers love their fresh-as-can-be seafood selections, especially the salmon sashimi, their fan-favourite sushi combinations, like unagi maki and soft shell crab rolls, as well as their delectable cheese baked oysters. 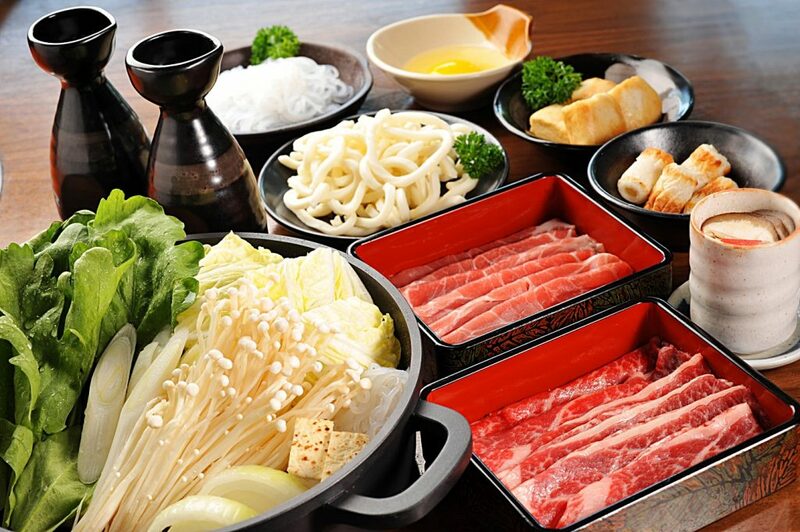 Heavier dishes like sukiyaki, teppanyaki, and Japanese fried rice are also available in the buffet spread, so there will be something for everyone to enjoy. Don’t forget to come earlier than peak hours or make your reservation beforehand to avoid disappointment if they get full up. 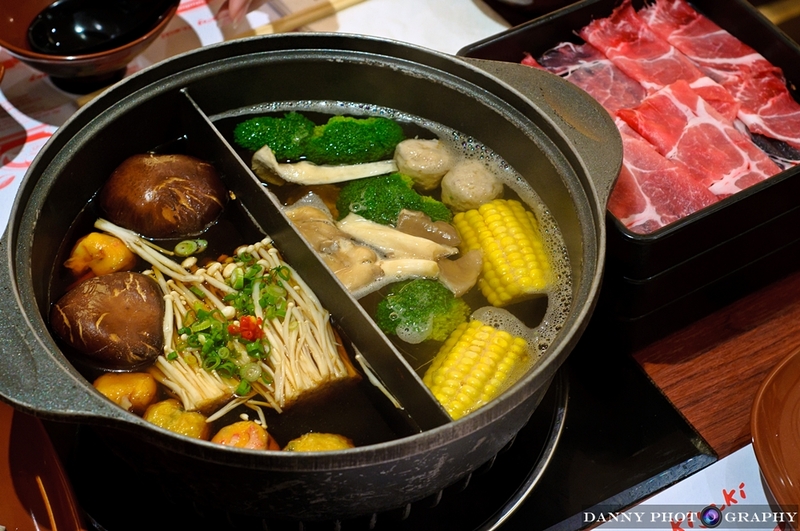 The most affordable of the Japanese buffets in this list, Suki-Ya in Paradigm Mall is a free-flow steamboat restaurant for all of you that love being able to ‘cook’ your own meals, so to speak. You’re given a choice of two out of four different base soups, shabu-shabu, miso, sukiyaki, or kimuchi, for you to cook your meal in. There’s even step-by-step cooking instructions provided, so you don’t have to worry if you have zero cooking skills! 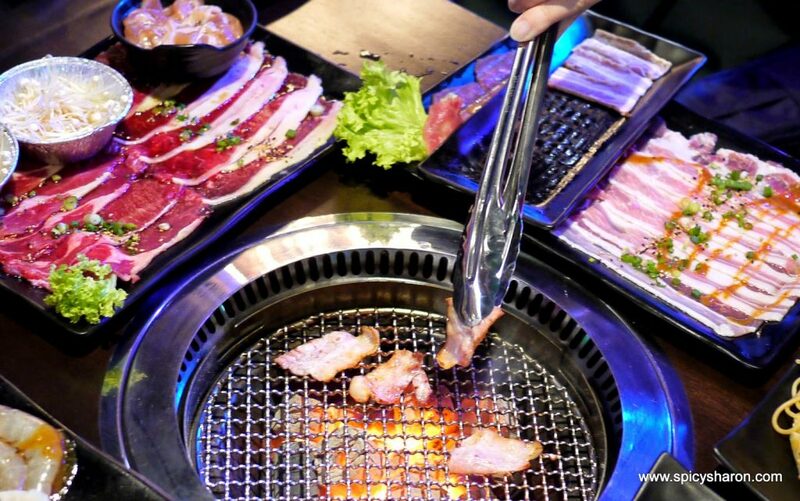 Each table will be provided with an unlimited amount of paper-thin slices of beef, lamb, or chicken to eat, so you definitely won’t leave hungry. There is also a spread of sides to add to your soup, such as fresh vegetables, cocktail sausages, fish cakes, tofu, etc. Customers are given 120 minutes to have their meal, with additional 15 minutes priced at RM3.50. No wonder this place always has long queues during peak hours! Lunch: RM31.90/adult on weekdays, RM33.90 on weekends. 50% off for children below 12. Dinner: RM39.80/adult, 50% off for children below 12. This hidden gem in Jalan Sultan Ismail is super popular for a reason. Mitasu’s extensive, made-to-order buffet menu will appease every rumbling stomach, and their use of the freshest ingredients makes a big difference in their cooking. 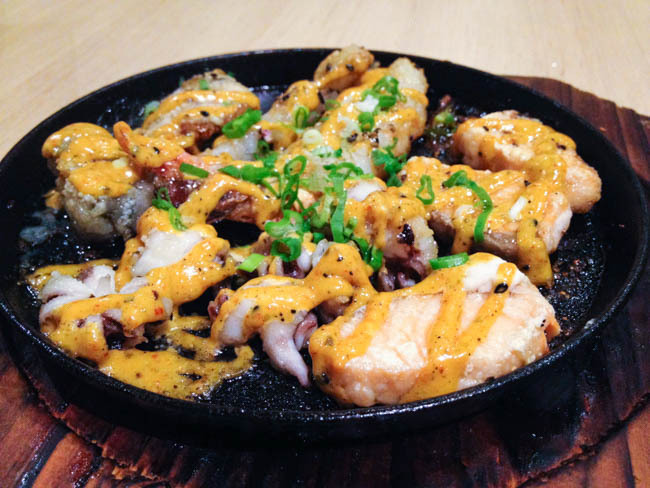 People rave about their salmon and tuna sashimi, tako karaage (deep-fried octopus), takoyaki, grilled salmon, and heavier dishes like their cold buckwheat soba. 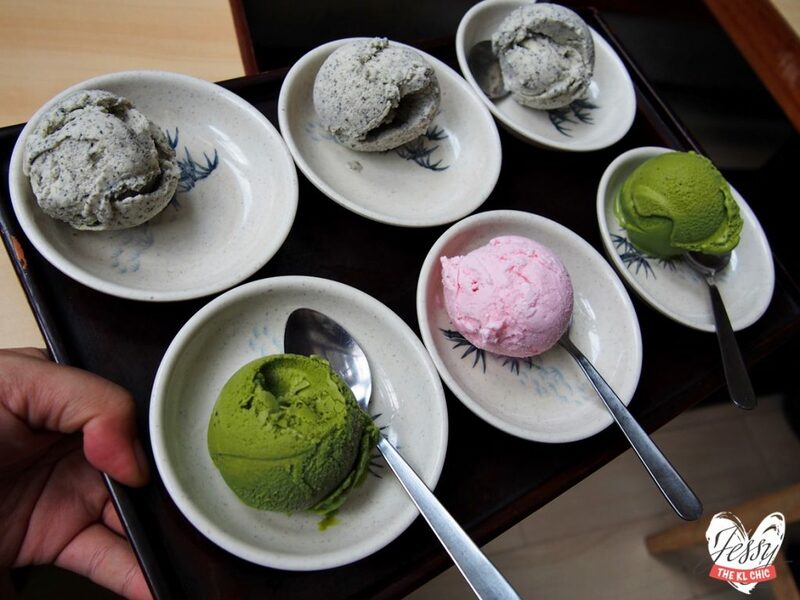 Don’t miss out on the Japanese-inspired ice cream flavours, like the green tea or the black sesame. One thing that differentiates Mitasu from other Japanese buffet places is that there is no time limit imposed on your meal, so you can stay and eat all day if you desire. You’ll definitely have to make a reservation at least a week or two in advance, because this restaurant attracts a large crowd, especially on peak hours and weekends. Address: B-01 , Central Plaza , No.34, Jalan Sultan Ismail , 50250 Kuala Lumpur. 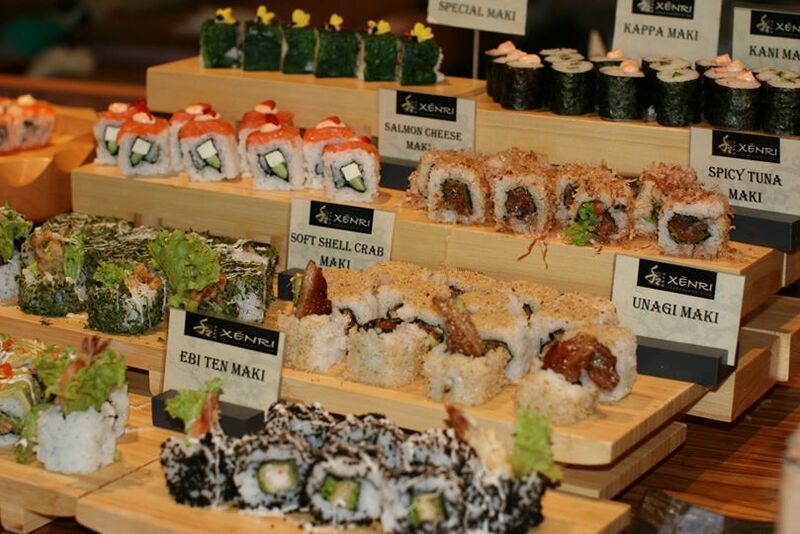 Aoki-Tei is the sister company to Umai-Ya, specializing in Japanese buffets specifically. This truly is an all-you-can-eat restaurant, as you can order anything you want off the menu without limits! With over 180 dishes to choose from, you’ll be spoilt for choice on what to order. 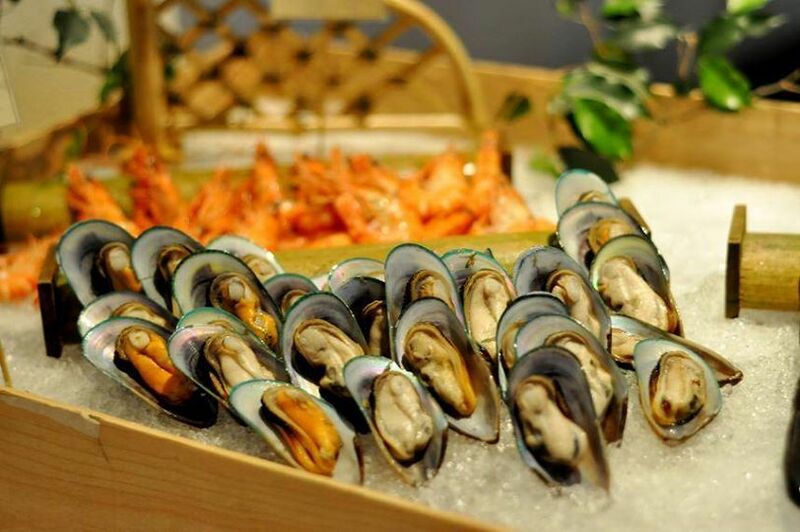 Their buffet menu consists of everything from thickly-sliced fresh sashimi and delicious seafood kaminabe (paper steamboat), to velvety chawanmushi and an assortment of sushi and handrolls. Try out their unique ice cream flavours as well, including wasabi! 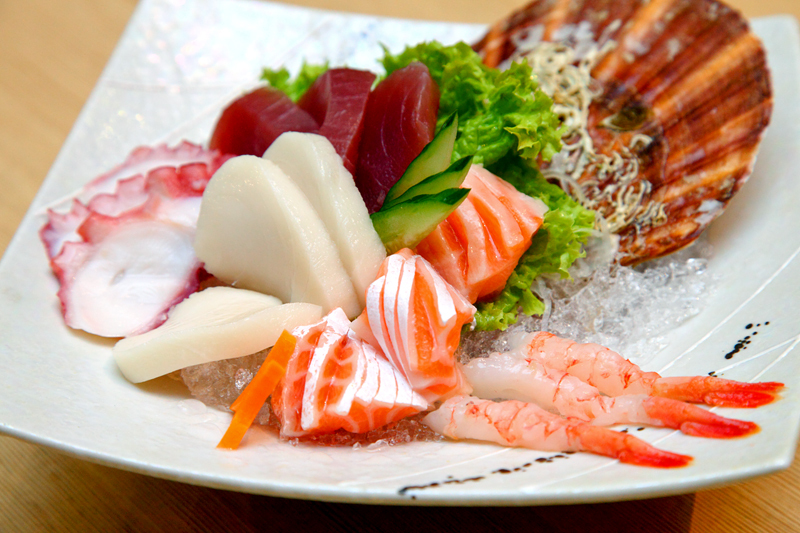 For RM58++ per person for a lunch buffet, Aoki-Tei doesn’t disappoint. As with many of the places on this list, you have to make early reservations if you wish to eat here on a weekend to avoid being turned-away. I guess Malaysians really love their Japanese buffets! Doesn’t this list just make you want to go out and eat Japanese food right now? (It does for me!) Don’t forget, as mentioned countless times, book a reservation beforehand so you don’t get disappointed when you show up and there’s a full house in these Japanese buffets! Don’t say I didn’t warn you! 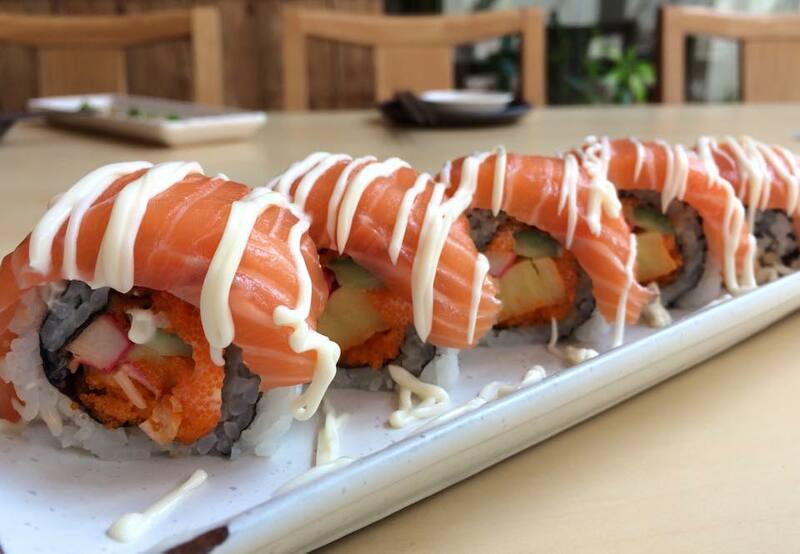 Now go forth and indulge yourself in as much as Japanese food as you could possibly eat. Itadakimasu!